SEO tools ease the blogger’s life. You can tap into search engine traffic which convert like crazy. And 80% of the process is automated for residual and long-lasting traffic. increase your search organic traffic. find and rank for high traffic keywords with low competition. build backlinks to get a better ranking for competitive keywords. The traffic you get from search engine is highly targeted. The reader comes from keywords that clearly denote his interests. And your blog as a result is the answer to his queries. You get higher conversion rate, higher revenue. And organic traffic is passive traffic once you get the ranking for the keywords. Well! You need SEO optimized content to rank high on search engine result pages. Other factors may be a blog that load fast and a theme optimized with meta data for search traffic. Pay attention to these free SEO tools and see how they can help your blog get more organic traffic. The obvious Google Search Console, formerly Google Webmaster Tools, plays a big role in every blogger’s life. check the keywords I rank for. get notifications when there’s error on my pages. In fact, this is the best keyword tool I’ve used so far. It helps me discover potential keywords I did not target when I first wrote a post. I may rank on 2th to 5th page for those keywords. But when I discover them, I optimize my posts for them. I took a post from 100+ to 3000+ residual pageviews per month with that method. Yes, it can be used as a SEO tool. 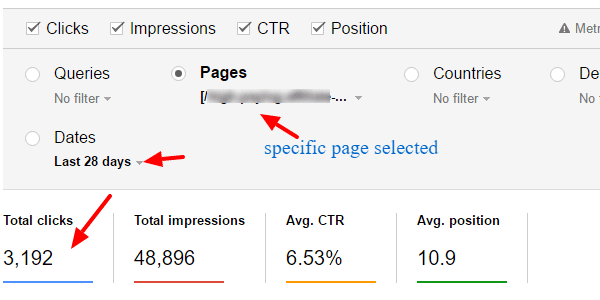 Google Analytics gives you data on which you can take actions to improve your search ranking. How someone interact with your post can either increase or decrease its ranking. It’s called user behavior or user engagement. Google analytics help you find those data to SEO your blog. Those actionable metrics are bounce rate, time on site, page views per visit and a few other. Like Google Webmaster Tools, it’s free. And you can link them to get both of two worlds. Semrush is a suite of marketing tools you can use to discover new keywords, spying on your competitors ranking data, audit your website and much more. SEOQuake is a browser addon by Semrush that helps you analyze the SERP or any website online while you’re browsing it. It is free. I use it to analyse the Search Engine Result Pages (SERPs) and find out how difficult it can be to rank for a certain keywords. find high paying keywords I use to make more money from my traffic. discover the keywords my competitors rank for that I could improve my blog for. get notified each time a SEO technical issue is found on my blog. I asked a special discount for you. Get 14 days free trial of SemRush Pro plan. After the trial, you can either upgrade to a paid plan or keep using a limited version for free. Nowadays, you have to target phrases with the same meaning within a single post. It’s not recommended to write a post about “best keyword tools” and another about “top keyword tools”. Google and many search engines now understand synonyms. The process is called Latent Semantic Index (LSI). And LSIGraph is a free SEO tool to help you find LSI keywords. I use it to discover key phrases I can target on my posts. I can target more keywords and get more traffic with each of my blog entries. do keyword research without spreadsheet. monitor social media for keywords and sale opportunities. analyze backlinks profile and outreach to ask for backlinks. How to optimize your CTR on search engine listing pages? How to pay attention to the ranking factors that matter the most? I use its components “Rank Tracker” for keyword research and “Website Auditor” for weekly audit of my website for SEO issues. In one place, I can gather keywords from Google Adwords, Google Related keywords, Google suggestions, Bing suggestions. I can analyse the keywords returned and arrange them by group. The latest mentioned feature helps me arrange my keywords for LSI ranking and user intent. You can download SEOPowerSuite for free. You upgrade only if you need automated tasks and branded SEO reports. This is a free chrome browser add-on I use to check my site for broken links. It helps me to discover broken links on site related to my niche. I can ask for a replacement of these links with my own. And I can get a link back to my blog. Yoast SEO, formerly WordPress SEO, is the SEO WordPress plugin that I use to optimize my posts around a set of target keywords. It helps with on-page SEO which is crucial for high ranking. It helps you add meta data that makes search engine understand your content. You can use it to build a dynamic sitemap to submit to Google, Bing, and Yahoo. That way, they get notified when you publish a new post. It makes it simple to optimize each new post that you write. You increase the opportunity to rank well and get free organic traffic. I am grateful this tool exist. Another browser add-on that fixes the problem of hidden keywords. If a service helps you find keywords like Uber Suggest or Solve, Keywords Everywhere gives you the CPC and the search volume for each of these keywords. You don’t have to copy the keywords or download them to use another tool for traffic estimation. It gives result for U.S traffic only. And I doubt this tool will remain free. However, till now, you can use it to estimate the traffic of your target keywords. There are WordPress plugins you can use to detect broken links on your website. But it will use your precious server resources on auto-pilot. I use Broken link checker, a free online SEO service, to check my blog for broken links once per month. If CheckMyLinks watch only the page you are viewing, Broken link checker go through the whole website and gives you a detailed reports. SemRush paid plans for a deeper look at competitor websites. Click here to get 14 days free trial instead of 7 days for pro plans. LongTailPro or Jaaxy for faster keyword research. it converts searchers into customers or loyal readers. it is free and passive over time. And with 10,000+ search engine traffic, you can tap into Ezoic premium CPM ads which pay up to $20 CPM. You’ll earn more money with ad networks like Adsense or Media.net. (By the way, I sometimes get $40 CPM with media.net ads. And you get 10% bonus for your first 3 months using that link). The CTR of your well-placed optin-form will increase because of the relevance of your content. You can then make thousand of dollars through engaged and automated email sequences. So, it is a world of opportunities for you. Just remember that the core of all this is content. Write more blog posts highly optimized for search engines on your blog. The free SEO tools will just help you do that easier. Take the time to share the content with anyone you think who’ll enjoy it.